There are some beers that stand out as solid, classic examples of their style. 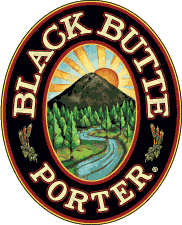 Of all the American Porters I have had, Black Butte Porter continues to stand tall as one of the best examples of the style. Deschutes Brewery out of Bend Oregon continues to put out many exceptionally tasty, well-made brews both with their standard line as well as with their seasonal and limited releases. Somebody there must know what they're doing. Black Butte Porter is their flagship beer, and for good reason. It pours a thick, yet somehow silky smooth coal black with a tremendously thick, creamy head. The head froths up so thick and luscious, it almost looks like a rootbeer float. But, where's my ice cream? It has a medium-strong smell of sweet dark malts, semi-sweet chocolate, and a touch of freshly roasted coffee. When you take a sip, it tastes a lot like it smells: mostly sweet malts and dark chocolate, with some vanilla and a lingering bit of hops in the end. It is moderately creamy and thick, and really, really well-balanced in flavor. 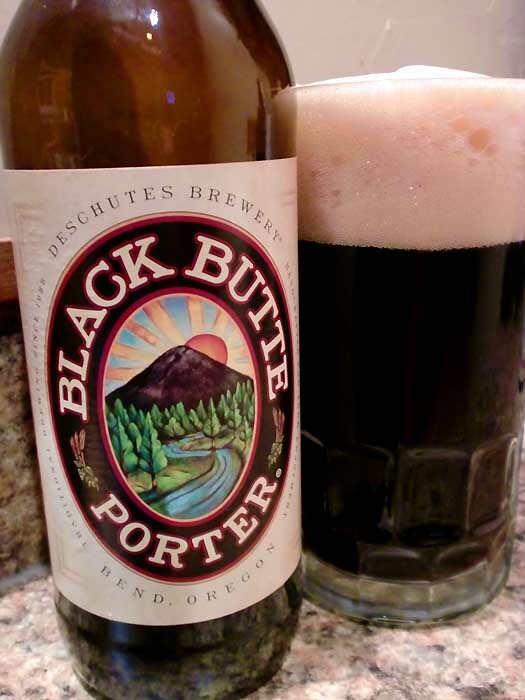 Like I said, this continues to be one of the best examples of an American-style Porter. It is the perfect balance for the style between dark roasted versus sweet flavors, with a good bit of hops in the finish. Drink This: if you want a well-balanced, perfectly delicious example of an American-style Porter. Don't Drink This: if you want a crazy and extreme brew. This isn't trying to be anything over-the-top, rather it is trying to be exactly what it is... a great Porter. Enjoy!